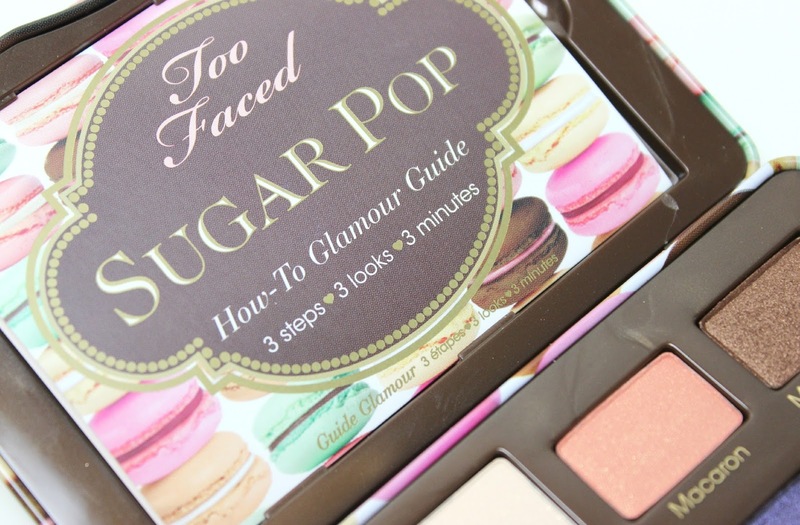 Too Faced are one of my favourite brands for eyeshadow palettes. 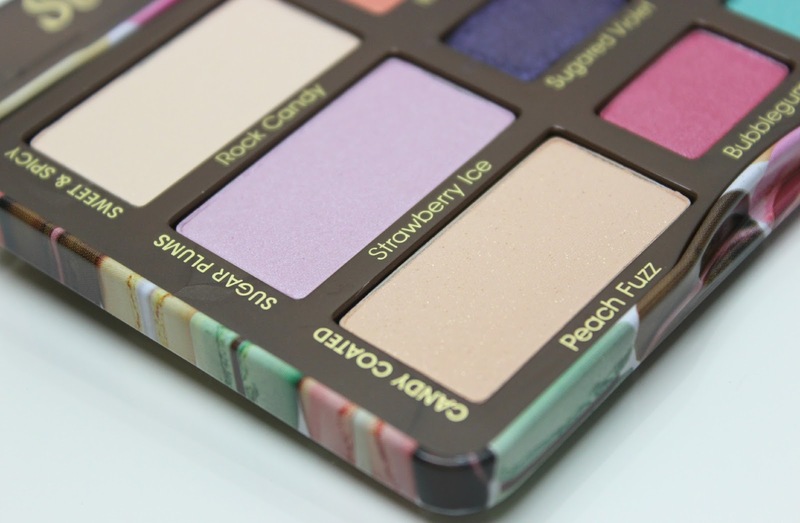 A brand who never fails to create a beautiful, fun and unique design, with quirky themes and gorgeous shades, the latest release is perfect for makeup novices and eyeshadow addicts alike. 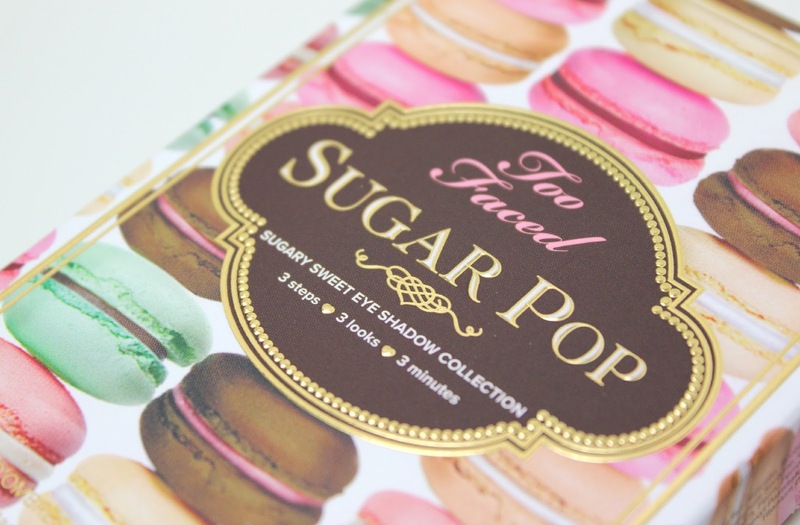 Introducing, the delicious Sugar Pop Sugary Sweet Eye Shadow Collection. 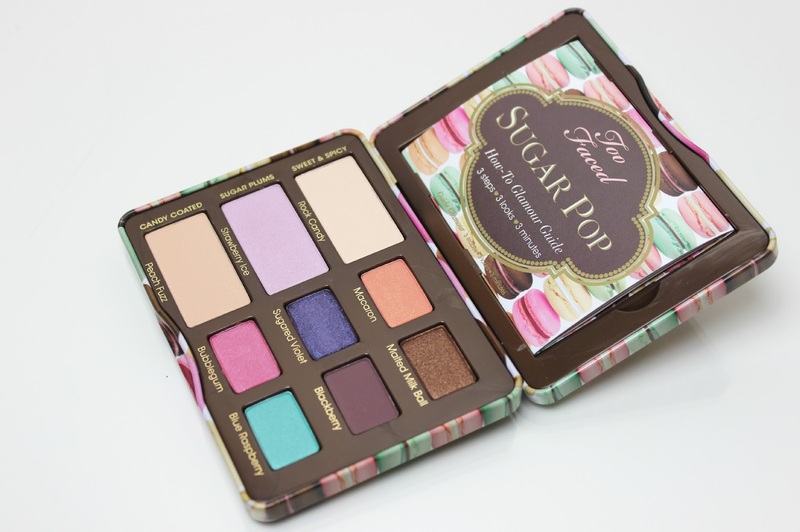 Featuring 9 chocolate, vanilla and candy themed shades with shimmer and matte finishes, the Sugar Pop Collection is inspired by French macarons - a delicious theme which makes this palette almost good enough to eat! The packaging is absolutely scrumptious; a background of macarons with chocolate and gold, it's presented in a study metal compact with a handy mirror inside making makeup on-the-go a breeze. Light enough to be perfect for travelling, it comes with a handy pull out How-To Glamour Guide featuring 3 step-by-step looks; Sweet & Spicy, Sugar Plums and Candy Coated. To make it even easier, each row of the palette corresponds to a look in the Glamour Guide, but shades from all rows can easily work together to create a huge variety of looks from day-to-night. All of the shades have a buttery soft powder formula, highly pigmented even with the paler shades and each has a beautiful finish. The shimmery shades aren't too shimmery, which is perfect for those who like a touch of shimmer but don't want a glitter overload. Malted Milk Ball is the only shade in the palette which takes a bit more work to get some oomph out of, which may be down to the more metallic finish, but overall each shade is vibrant and beautifully created. 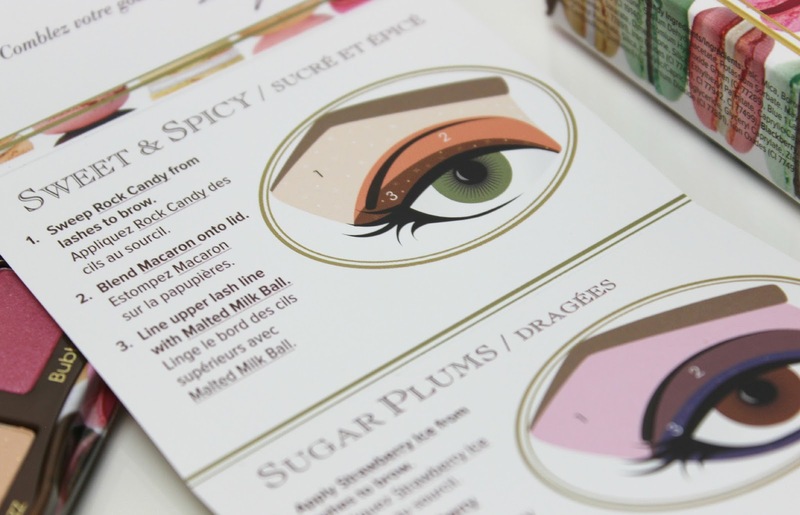 The handy Glamour Guide makes it super-easy to create looks using all of the shades, including pictures as well as instructions, which I find a fab little addition to Too Faced palettes. 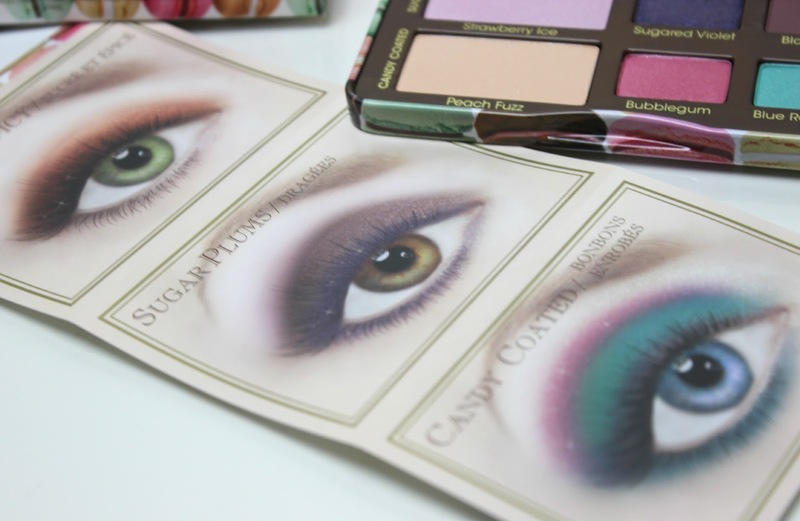 The Sugar Pop Sugary Sweet Eye Shadow Collection is already available in America, launching in the UK at the end of April - keep an eye out for it at Debenhams and Look Fantastic! 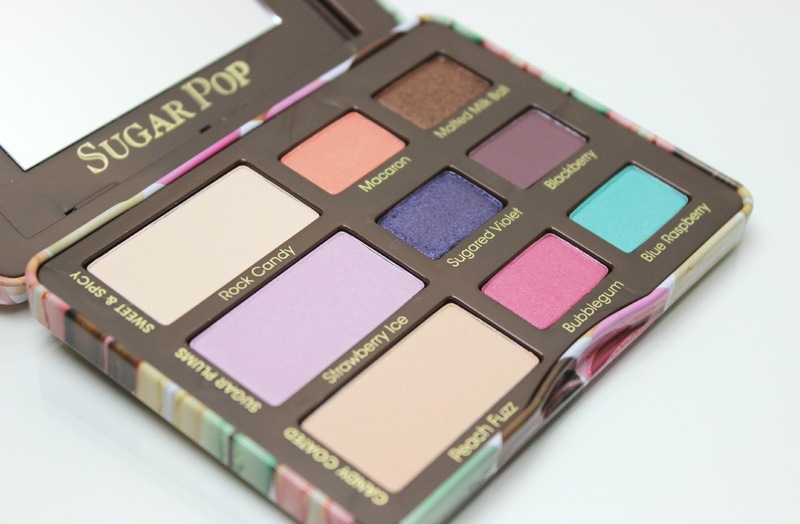 Will you be adding Sugar Pop to your palette stash? This looks beautiful! Especially the bottom two shades; such a stunning selection of colours and the formula always looks and sounds impressive! I've tried a few bits from Too Faced now, but i'm yet to try their eyeshadows, I think after reading this though, I need to change that asap! Wow this looks so good, i love how it has some ideas and how to do them in there! I've already purchased this palette. When it comes to Too Faced eye shadows, I cannot hold back very long. The colors and formula are so nice. Their palettes are my favorites!